40 total shares. Be the next! Save Ali to your Collection. Register Now! Ali Miller was born and raised in New York. She received a BFA from Alfred University in 2008, and is currently working towards an MFA at Maryland Institute College of Art in Baltimore. Miller recalls that as a child she was an ‘overly analytical thinker’ with an obsessive desire for detail and closure. Similarly, her fascination in the human subconscious was present from a young age. She considers her images to be retreats of the mind. Heridealized landscapes and empty atmosphere are loaded with symbolism, designed to represent fragmented ideas created by the subconscious mind. ‘Although my hideouts might appear idealized, whimsical and light hearted, they still contain the lingering remnants of my anxiety,’ she says. 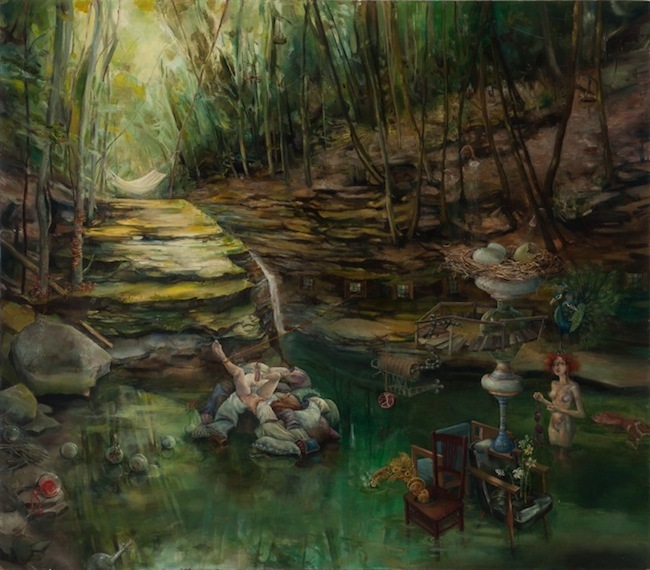 Her work has been exhibited in numerous group shows across New York. "Fly on the wall" is an awesome work of art! This piece is truly amazing and has a very calm mood to it in my perspective. 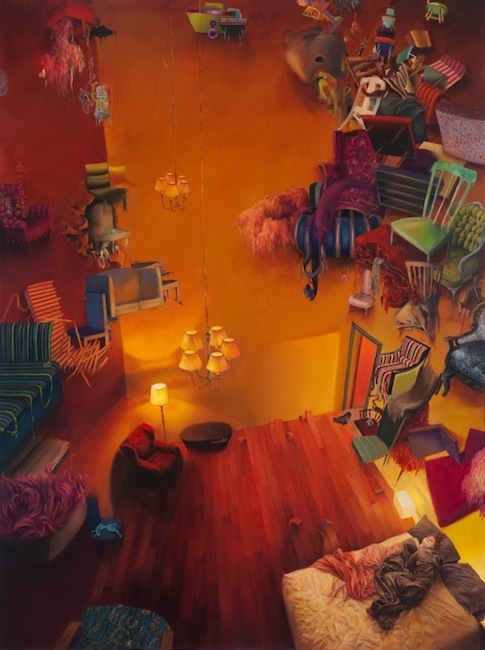 In the second painting, the floating objects show how she views each piece and how it is made to be different from the real objects placement. I love it!!!!!! Easily one of the best artists out there. Here's one to watch! Whimsical and filled with temperature. Its like you got comfortable some place and just let your mind go. YOU ARE FABULOUS!!!! WE ARE SO PROUD OF YOU. love the multiple perspectives in "fly on the wall", makes me feel like one! Intense, reminds me of the mad hatter in Alice in Wonderland, really great artistic ability; colors are perfect;calming and intriguing.